Sergei Yesenin, the son of Russian peasants, was born in Kronstantinovo on 21st September, 1895. 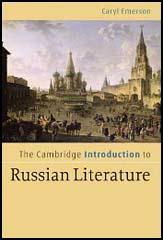 When he was seventeen he moved to Moscow as a young man and worked as a proof-reader. Yesenin began writing poetry and was a great admirer of Alexander Blok. 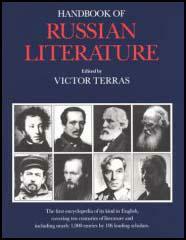 Yesenin's first volume of poetry, Ritual for the Dead, was published in 1916. He supported the October Revolution as he believed it would provide a better life for the peasantry. This was reflected in his volume of poems, Otherland (1918). He soon became disillusioned and began to criticize the Bolshevik government and wrote poems such as The Stern October Has Deceived Me. In 1922 Yesenin married the dancer Isadora Duncan and accompanied her on a tour of Europe. Often drunk, his smashing up of hotel rooms, received a great deal of publicity in the world's press. Yesenin returned to his homeland in 1923 and published Tavern Moscow (1924), Confessions of a Hooligan (1924), Desolate and Pale Moonlight (1925) and The Black Man (1925). Sergei Yesenin suffered a mental breakdown and was hospitalized. Yesenin was released and on 27th December, 1925, he cut his wrists, wrote a farewell poem in his own blood, and then hanged himself. Although one of Russia's most popular poets, much of his work was banned during the rule of Joseph Stalin. His complete works were republished in 1966. (1) Vladimir Mayakovsky later described meeting Sergei Yesenin for the first time. The first time I saw him he was dressed in a shirt embroidered with some crosses and had bast moccasins on his feet. Knowing how eagerly a genuine - as opposed to a theatrical - peasant changes his attire to town jackets and shoes, I did not believe Yesenin. He seemed to me put-on and showy. All the more so because he was already writing successful poetry and could certainly afford shoes. There is no question of trying to "please"; one must simply pull one's boots up as high as possible and wade into the pond as deep as one can, and stir, stir, until the fishes pop their noses up and notice you, notice that you are "you". When I saw Yesenin for the first time, I disliked him. Twenty-four years old, he mixed with the women, ruffians, and ragamuffins from the dark corners of Moscow. A drinker, his voice was hoarse, his eyes worn, his handsome young face puffed and polished, his golden-blond hair flowing in waves around his temples. Dressed in a white silk smock, he would mount the stage and begin to declaim. The affectation, the calculated elegance, the alcoholic's voice, the puffy face, everything prejudiced me against him; and the atmosphere of a decomposing Bohemianism, entangling its homosexuals and exotics with our militants, all but disgusted me. Yet, like everyone else, I yielded in a single instant to the positive sorcery of that ruined voice, of a poetry which came from the inmost depths of the man and the age. (4) Vladimir Mayakovsky met Sergei Yesenin just before his death in 1925. My last meeting with him made a depressing but great impression on me. By the Gosizdat cashier's office a man with a swollen face, twisted tie, and cap only by a miracle holding onto his head, caught by a fair lock of hair, threw himself at me. He and his two horrid (to me at least) companions smelled from alcohol. With the greatest difficulty I recognized Yesenin. With difficulty, too, I rejected the persistent demands that we go for a drink, demands accompanied by the waving of a fat bunch of banknotes. All day long I had his depressing image before me, and in the evening, of course, I discussed with my colleagues what could be done about Yesenin. Unfortunately, in such a situation everyone always limits oneself to talk. (6) Victor Serge entered Sergei Yesenin hotel room soon after he committed suicide. They found him hanging with a suitcase-strap around his neck, his forehead bruised by falling, as he died, against a heating-pipe. Lying there washed and combed on his death-bed, his face was less soft than in like, his hair brown rather than golden; he had an expression of cold, distant harshness. Thirty years old, at his peak of glory, eight times married. He was our greatest lyrical poet, the poet of the Russian campaigns, of the Moscow taverns, of the Revolution's singing Bohemians. He spawned lines full of dazzling images, yet simple as the language of the villages. He had tried to be in tune with the times, and with our official literature. 'I am a stranger in my own land'; 'My poems are no longer needed now, and myself I am unwanted'. Friend, you are sticking in my breast. the thread from parting to a meeting. But nor is new, of course - to live.